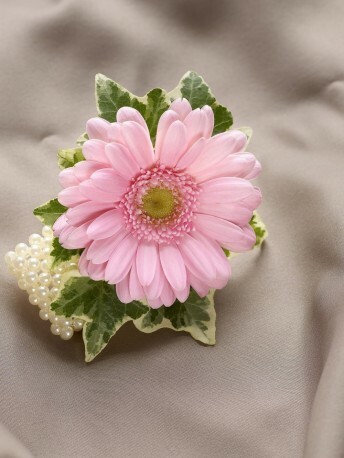 This beautiful germini wrist corsage in palest pink is sure to be worn with pride. A delightful modern twist on the tradtional corsage, this bracelet version looks particularly pretty and would suit wedding guests of all ages. Featuring a single germini with expandable pearl bracelet.